On Thursday, we said good bye to this small group of World Changers. for serving with us here in Santiago and the outskirting countryside! Don't just dream dreams, live them. Don't get discouraged when your dreams take awhile. Dreams may come overnight or in one sitting with the Lord but they take time to "live" out. Today, we live out a different part of our dream with God. The one that touches my heart the most. Families serving in missions together. Today, the Stabler Family from YWAM Orlando bring a family group! 17 people, 4 families! Our family will make 5 families serving together! Our ages will range from 7 to 61! First time missionary trippers and veterans serving with their families! Showing others the love of God while allowing Him to strengthen their family! Thank you so much for being in our family lineage in Christ! There are too many of you to individually thank or share how you have been a part of this journey but you all have. Even if it was just one prayer. One prayer is never "just one prayer" it is so much more! Thank you for your prayers, support, encouragement, and finances. We are excited to live out our dream! It is hard but it is worth it! Would appreciate your prayers too. This is NOT something that the enemy wants to see happen but it is happening and we want it to be successful and that is partially due to your prayers for us! Families will be sharing the love of Jesus with other families and individuals and with God bringing them into the Family of God...the greatest family there is! When will you and your family come and join us? Short update before a busy few weeks! Insight to an overseas missionary family's life. Happy Fourth of July! Independence Day! Fireworks! Cooking out! Family! Celebrating our freedom and the fact that we are American and proud of it. This is a really strange thing to do in a different land. How do you celebrate your Americanism when you are not in America? There are lots of different ways this can be done. We went to the "American" store, wore matching Old Navy flag tshirts, ate fried chicken, mashed potatoes & lima beans, and watched the Avengers! This is officially our 12th (ish) holiday that we have celebrated since moving here 10 months ago. We have all celebrated turning a year older in the Dominican Republic. Jesse turned 13, Sammi turned 19, Hannah just turned 17 and Ned and I celebrated our birthdays too :) Holidays are something that are just a bit strange. Traditions and foods are different. You often can't find that "traditional" thing that you ALWAYS serve for that holiday. Some things can be found but not afforded. You don't have the family and friends to celebrate with. Playing American football at Thanksgiving was next to impossible. HOWEVER, you hold true to KNOWING that God has you here in this foreign land for a reason. You make new traditions or adapt old and you make the best of it. You enjoy life and are thankful for what God is doing in and through your life. Just a little insight to one part of our lives here. Thanks for your prayers in this area! Our next holiday will be Ned and I's 22nd Anniversary on Saturday, July 12th. We will be hosting a group from YWAM Orlando so not sure how we will celebrate but that won't make the past 22 years any less precious! YWAM Santiago's Discipleship Training School team made up of all Dominicans that left this week for ministry in Colombia. 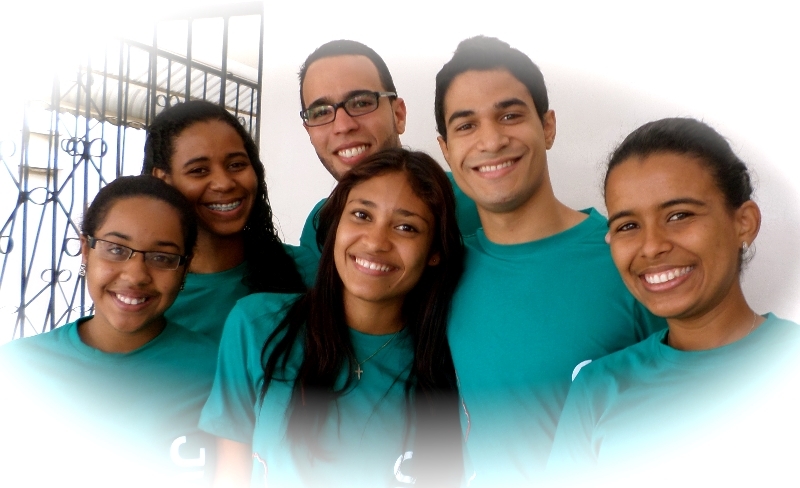 Mobilizing Dominican youth to reach the nations is one of the goals of YWAM Santiago. We are privileged to have gotten to be a part of this amazing team. We enjoyed our week of outreach with them to the city of Santiago. We did day camps at 5 different church locations. These locations were at the far east and far west parts of the city and in the center, strategically spreading the gospel around the city of Santiago. Please be in prayer for this team as they minister in Colombia and then return to help run the SUYO (King's Kids) camp and NIKO. Prayer! 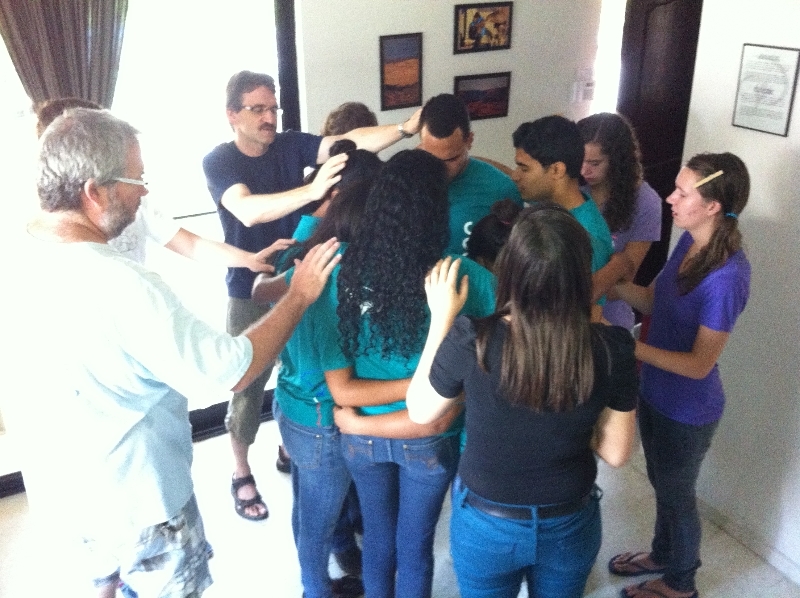 This is our family along with the full time YWAM Santiago family praying for the Colombia team. Prayer is effective and needed. We need your prayers. This week will be 3 days of preparations for two upcoming teams and two upcoming camps. On Thursday, a team from YWAM Orlando joins us, followed by a family team led by our good friends, Dave and Rebecca Stabler. That leads us into the local SUYO camp with local Dominican youth participating as campers and staff, followed by NIKO camp in August. During these times, we will be ministering with the teams from the states and the youth from the Dom Rep around the city. It is an exciting time with lots of changed lives. Thanks for your prayers!